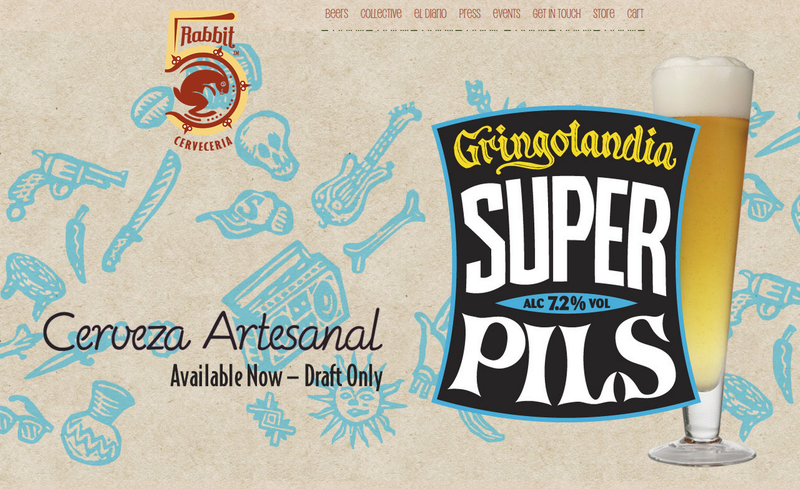 I'm not sure I've reviewed any 5 Rabbit Cerveceria beers here, but I couldn't pass up their Gingolandia Super Pils the other day. You know, because I'm a Gringo and all living in the foreign country of Miami? 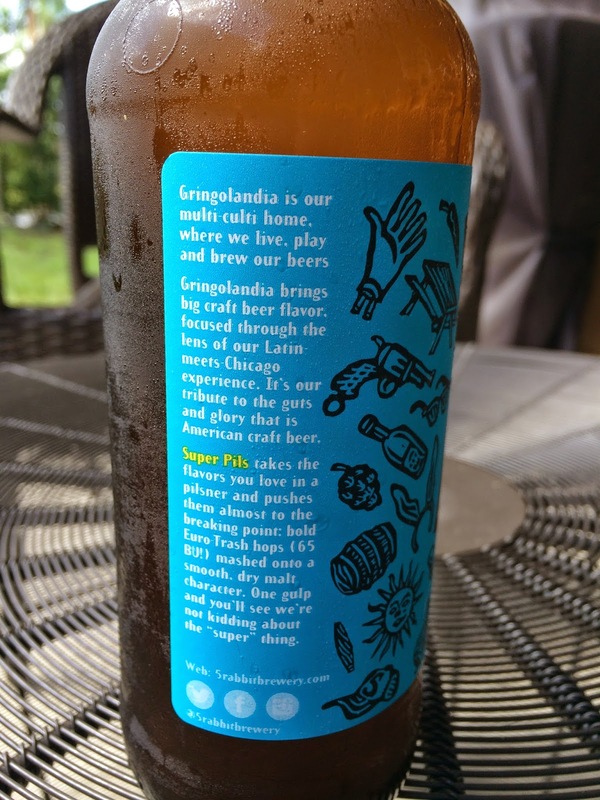 Anyway, the story on the label lets you know that this beer is a salute to the multicultural input used to craft their products, their "Latin-meets-Chicago experience." The label has a background full of thumbnail sketches of many cultural symbols: picnic tables, jalapenos, baseball caps, skulls, boom boxes, and guns (go figure). 7.2% alcohol. 65 IBUs. Kind of cloudy, unexpected. Light lemon and light grain aroma, faint but sweet. Grassy and flowery flavors kick things off, fairly sharp and building throughout the beer. And though that initial bitterness persists, some sweeter than expected apple and fruit and grainy flavors do show prominently. Carbonation is good. Each finish has a hoppy, bitter, lightly alcoholic streak running through it. 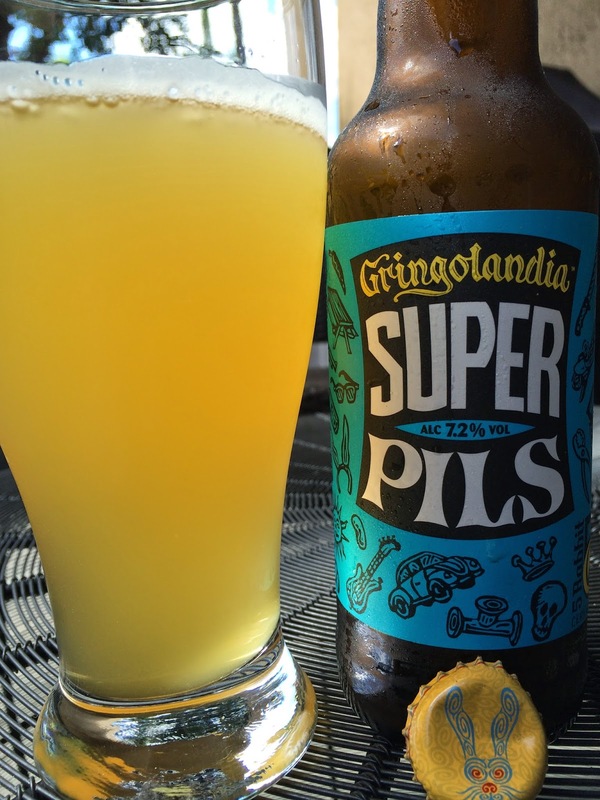 And while flavorful and clean, I feel this pilsner was lacking the refreshment one would expect in the style, for sure not meeting what I deserved after four hours in the garden this morning! Dear 5 Rabbit: This banner is on your website this morning. You can see I had this from a bottle, not draft.